This is a full-on fuzz distortion pedal, housed in our own original design steel desk-type enclosure. Along with a volume control there’s an overtone knob which controls the pitch of the harmonic overtone in the sound. 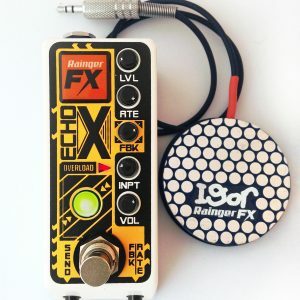 This sounds great at any setting, but also is really exciting as you adjust it – like a cross between a wah wah and a phaser. So an LFO option is incorporated to modulate this control (giving a triangle wave-shape, speed adjustable from a slow sweep to a fast wobble). There’s a switch (‘MOD.’) on the front panel to turn this on or off, the status and speed of the oscillator shown by the red and white throbbing meter backlight. The DRFF-3 has a hi/lo intensity pushbutton on the back panel, switching the overtone from a lower ‘inside the sound’ to a higher-pitched in-your-face zip. On the low setting it’s possible to get a strong – perfectly tracking – low octave introduced, especially when the guitar’s neck pickup is selected. Add an LFO fast wobble, and great thick organ-y tones are possible. 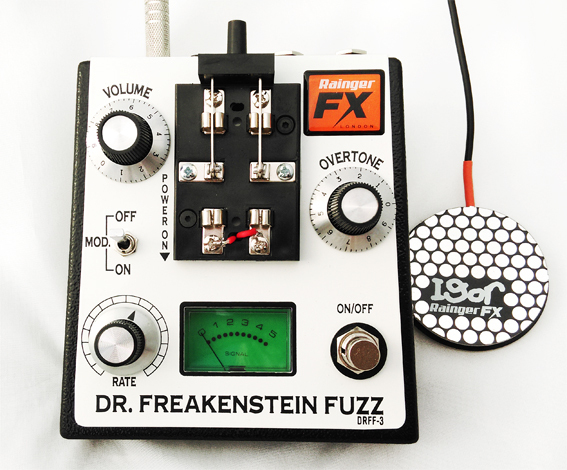 As part of how the distortion circuit works, the Dr Freakenstein has an impressive fixed-setting noise gate built in, creating dead silence between notes (which is very strange for a distortion). Also, being the Dr Freakenstein Fuzz, of course it has an assistant called Igor – which is a small dual-sensitivity pressure pad that you tread on or work by hand. 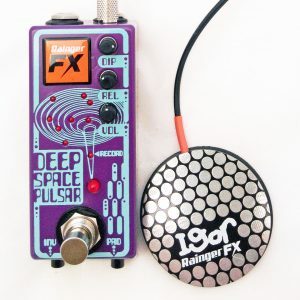 This plugs in via mini-jack to either tweak the overtone according to how hard you press, or to adjust the bias of the modulation range; on a fast modulation setting, this can give an effect reminiscent of a bubbling synth, sweeping down from high cutoff to low. Igor is like ‘aftertouch’ on a synth – but for guitarists. It’s a new thing – tiny and light, and with practically no moving parts. One Igor comes with each Dr Freakenstein. There’s also a meter for monitoring your input signal, plus a knifeswitch that you throw to power it up. Can I turn down the amount of fuzz? No. Why would you? 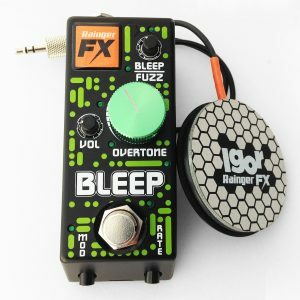 Does turning down the volume decrease the amount of fuzz? No – the volume is a passive control that comes after the whole distortion circuit. Can I use the LFO without the fuzz? No – the LFO in effect turns the overtone knob up and down. When do I throw the knifeswitch on or off? Throw it on when you set up, and off when you go and have a break. 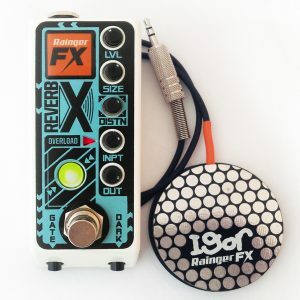 Treat it like plugging into the input socket of a usual format pedal – except with the Dr Freakenstein it’s very obvious if you’ve powered down or not. Can I turn on the whole effect by throwing the knifeswitch? Yes – leave the footswitch engaged and the whole thing lurches into action in a spectacular way. Is the knifeswitch dangerous at all? Not in the least – whether you’re using battery or PSU. Is the input meter a VU meter? It monitors the input signal but is not a VU meter, strictly speaking. (VU meters are quite specific types of meters). 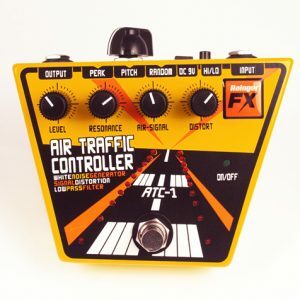 Can I use a regular expression pedal with it? Most probably yes, but youâ€™ll need a ¼” to minijack adaptor. Can I use two Igors at once with it? No, it’s either ‘Overtone’ adjustment or ‘Mod. Range’ adjustment. Can I use more than one at once? Not with the DrFF-3 â€“ it either works with â€˜overtoneâ€™ or with â€˜mod. Rangeâ€™, and canâ€™t do both at once (even if you plug in two). Can I use it with my hand? Yes â€“ it has dual sensitivity.